There will be a bunch of new information starting to show up here shortly. I am working on the version 3 build at the moment. It is approximately 90% complete. I would expect to have it working on July 4th and the documentation to be coming soon after. The documentation will include a list of all the parts and materials required. Pictures and descriptions of the changes to the configuration of a standard kossell printer. Dimensions and sketches for each of the wooden pieces. 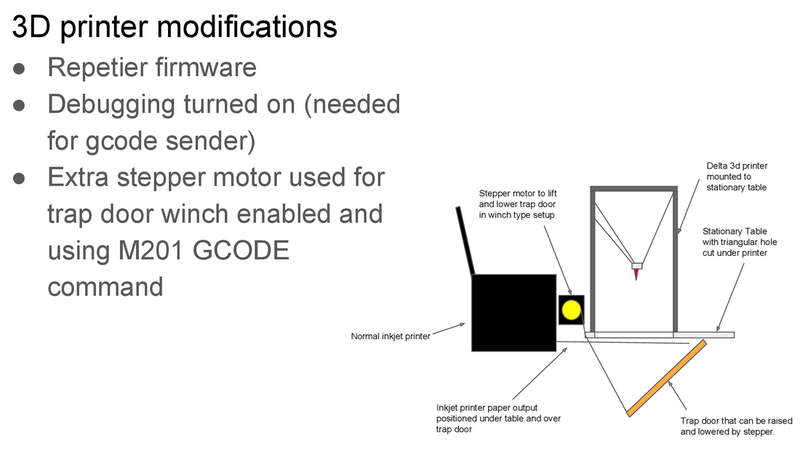 ​Schematics for the really simple electronics that run the linear actuator for the trap door from gcode. A video showing how the assembly should take place.